According to the newspaper, Neymar got in touch with the Catalan club’s managers informing them of his interest in a possible return. 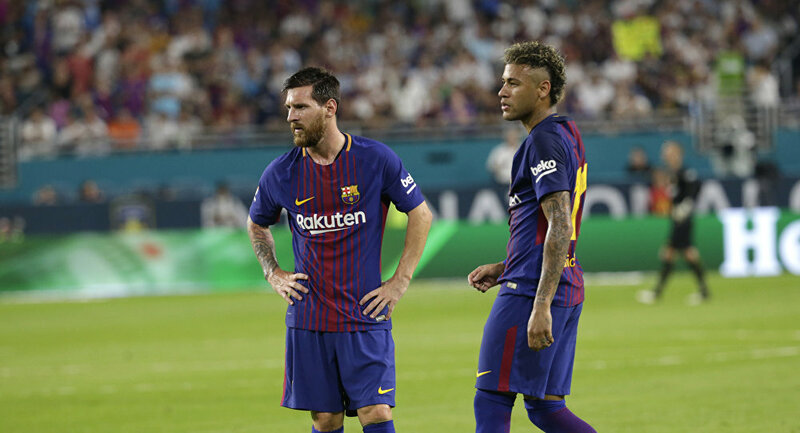 Mundo Deportivo reported that Neymar had told his former club that he made a mistake in leaving Barca, trying to step out of Lionel Messi’s shadow was wrong to want independence from Lionel Messi and was disappointed by the standard of the opposition in the French championship. Moreover, he got in touch with his former club just before PSG were knocked out of the Champions league by Real Madrid. Neymar’s transfer back to Nou Camp is not expected before the summer of 2019. According to Mundo Deportivo, many in Barcelona think that Neymar is simply looking for an alibi ahead of a planned transfer to Real Madrid. In late January, media reports said that Neymar would join Real if he helped PSG win the 2017/2018 Champions League. Before that, Real Madrid’s President Florentino Peres said he wanted to buy Neymar and was ready to bring Cristiano Ronaldo into the possible deal. Neymar joined Barcelona in 2013 before PSG bought him in 2017 for a record 222 million euros. The Brazilian has played 30 games with the Paris club scoring 28 goals in various tournaments. However, he failed to adapt to life in Paris and was unsettled in the club. In late February Neymar suffered a broken metatarsal and is currently recovering from an operation in Brazil.